Tá Anthony Lynch ag imirt le Corcaigh ó 1999. San am san tá sé tar éis ainm a dheánamh do fhéinig mar cosantóir comhsheasmhach agus muiníneach go forleathan. Tá dhá ghradam All-Star bainte amach aige agus ní dhéanfar dearúd ar an méid atá deánta aige dá chontae le fada an lá. 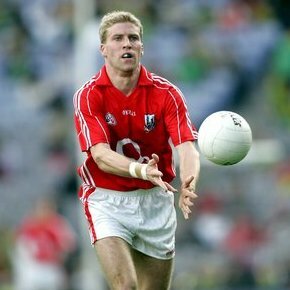 Anthony Lynch started playing for Cork in 1999. Since then he has made a name for himself as one of the most dependable and consistent defenders in the country in the last decade. He has been presented with the All-Star award on two occasions and his contribution to his county will not be forgotten for years to come.